This particular article is a little different than the one I intended. I was going to write something about New Years Resolutions (NYR), and how they almost give you permission to fail by calling them a NYR. Instead, I received an interesting LinkedIn message this week, and felt it was something worth sharing. After all, I write this blog to share my leadership experiences and the lessons learned. I would hate for people to think I'm avoiding topics. The sender (on Christmas Day no less) sent a message intending to get under my skin and spit some venom. I was accused of being a joke and that people talked behind my back during a previous project several years ago. The message came from a person who I let go. It hurt to do it at the time (and hurts to see him still holding on to his anger several years later), as the person is a very likable person who was in over his head for the system design we were implementing and was slowing the rest of the team down because they had to correct or compensate for his work. He would make an excellent inspector or client representative, but detailed system specifications and designs were not his forte. I never enjoy firing people, although I've been called upon to do it occasionally. I prefer to work with people to grow them and address issues. 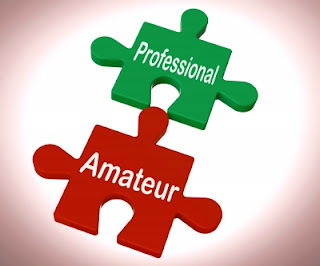 After all, if a person can improve then they become an asset, and you don't have to spend valuable time and resources trying to fill a void in the team. Sadly, not everyone makes the effort to grow (or can in the manner you need) and your job as leader is to solve problems and remove obstacles. Back to the message. I honestly was surprised to see the message, not just because it came on Christmas Day, but also that it came from someone who hasn't interacted with me in years. Rather than ignore the message or respond with more venom, I decided it would be best to embrace the Christmas spirit, and hopefully help him resolve his anger. Charles Dudley Warner was an American essayist, novelist, and co-author with Mark Twain. 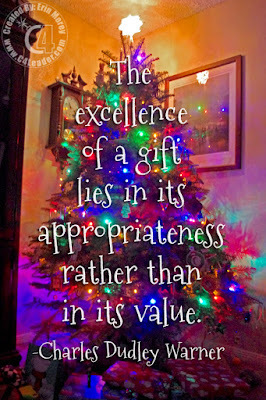 With Christmas this past Sunday, the quote was appropriate. 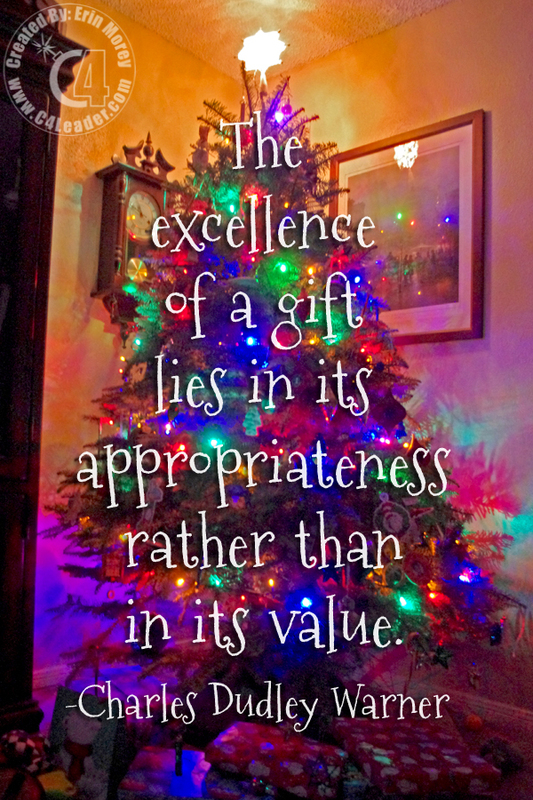 In a day and age of commercialized everything, people think that the dollar value of a gift is the important feature. "Look at how much I spent on you!" However, most of use would rather receive a gift that indicates the person knows us. Something that shows thought and knowledge of the recipient. These are the truly treasured gifts. Body language tells the story that your words don't. In fact (based on research performed by Dr. Mehrabian) communication is 93% HOW YOU SAY IT! From the research this breaks down to 55% for body language and 38% for tone of voice. These numbers have been called into question, but most aren't arguing 50%+ of communication comes from the body and tone of voice. I honestly laughed out loud at this one. What other examples can you find of Morey's Law #13? My apologies for the lateness. We had an ice storm over the weekend, and Internet was unavailable. Work to improve yourself, think through the "what ifs", and get ready for what life will bring you. That's why the military runs drills; paramedics / fire-fighters go through training, and leaders perform Risk Assessments. It's why planning is important. You need to prepare not just for when everything goes right, but for what can go wrong as well. 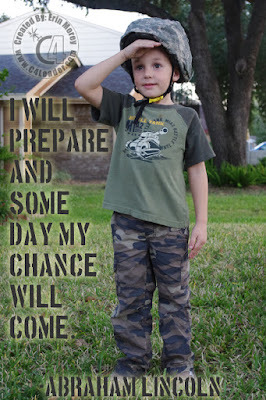 One of the earliest lessons of leadership I received was from the Boy Scout Motto: Be Prepared. And I work with my children to help them prepare for their future. Now, from a leadership standpoint, is it just you that needs to be prepared? What are you doing to ensure that your team is prepared? Are you identifying problems, clearing obstacles, providing training / opportunities for growth? The end goal as a leader is to build the best team you can, with more leaders. When you do that, you are preparing them for what comes down the path; because you can either prepare and take action on life, or life will take action on you. On a personal note, this picture is from a Halloween several years ago when my oldest son wanted to dress like daddy in the "tank army" as he called it. He wanted to be like me, so he dressed in a "uniform" and went out trick or treating. Dad was right beside him in a pair of old Nomex Coveralls, combat boots, and beret; all rank / insignia removed but still very much looking the soldier. It was a fun Halloween. 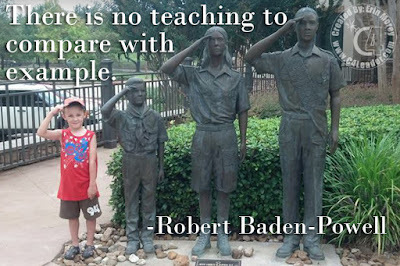 Lord Baden Powell is the founder of the Boy Scouting movement and working with his sister (Agnes Baden-Powell) the Girl Scouts. I am a big believer in the Boy Scouting program, as an Eagle Scout I learned a lot of skills including camping, orienteering, citizenship, and leadership / communication. A fantastic program which helps young boys learn to become better men, with the guidance and example of men. This was the day that I brought our son to the Boy Scout store to purchase his first uniform. He was so enamored he immediately donned his Tiger Cub hat and refused to take it off, even o have it scanned for check-out. Upon leaving he saw this statue of Scouters saluting and decided to get in line and offer his version of the salute. 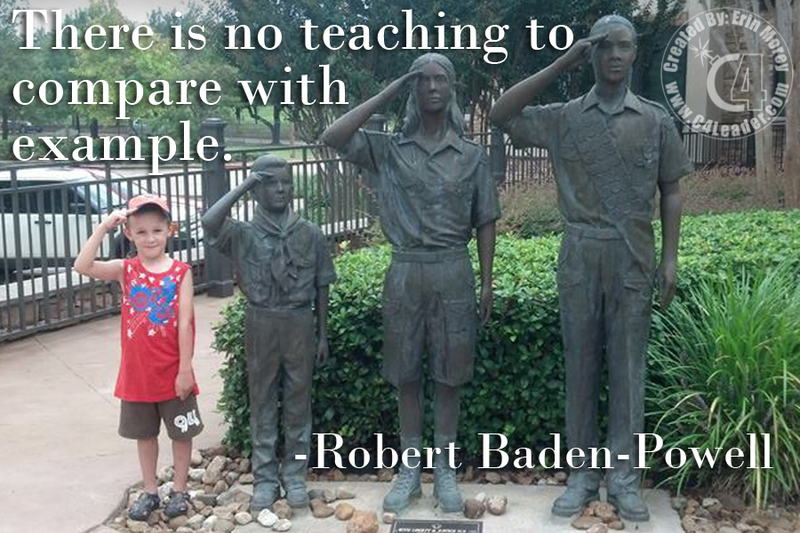 He was enthralled with the idea of Scouting, and now as a Webelos, he is preparing for the move to Boy Scouts. Regarding this quote, it goes beyond the Boy Scouts. As a leader, you need to demonstrate what you want others to emulate. "Do as I say, not as I do" doesn't work, you have to walk the walk. It is powerful when a leader can clearly demonstrate his / her beliefs and people are more willing to follow that leader because of it. Sadly, today's news is filled with leaders who can't or won't. Leaders who bow to the temptation of their position, or feel that leadership is their right, rather than their duty. 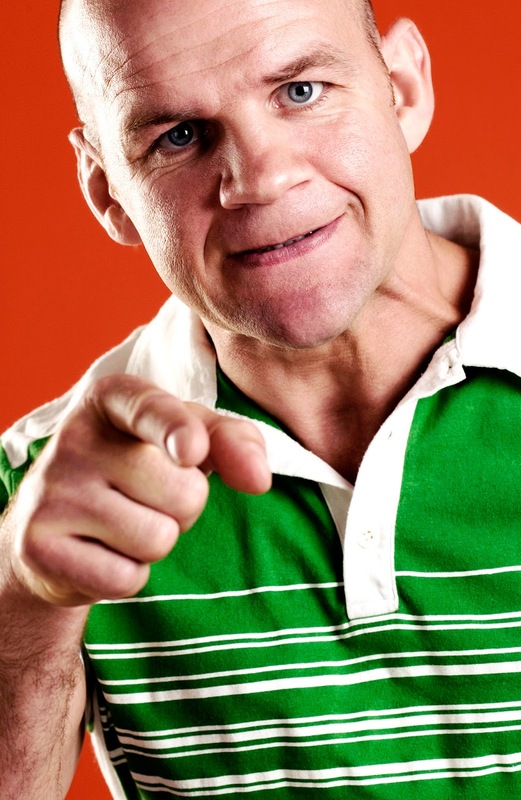 These leaders make great headlines and punchlines for their followers. When you work with your teams this week, think of how you can set the example. Perhaps you can write thank you notes. Or provide agendas of meetings in advance. Or (and this one I struggle with) leave the cell phone dark and in your pocket for meetings (or not in the meeting at all). What will you do this week to provide the example? I would love to read your thoughts below. Necessity really is the mother invention. Too often we put down ideas before fully exploring them, and when we do that we lose the ability to see some really inventive solutions. Have you ever watched one of those LifeHack videos? The whole thing is made of ingeniously simple things we all wish we had thought of on our own. Several years ago I had an eye opening experience. I'd been speaking for a couple of years, and was recognized as a very strong speaker for the Toastmasters District I was competing in. I thought I was about as good as you can get. Then one night, Darren LaCroix and Craig Valentine came to Houston and presented a workshop together. Both Darren and Craig are Toastmaster International World Champions of Public Speaking. In other words, they were world recognized "as good as you get." During the workshop they invited volunteers to come on the stage and give a portion of their presentation. They would then stop you and provide feedback that was designed for immediate impact. After a little while, they would stop the presentation and then provide an evaluation. What you did well, where you could improve, etc., etc. Towards the end of the workshop, my name was called. Up to this point I wasn't surprised by the feedback the previous participants had received and I was still feeling confident that someday I would be able to call myself "World Champion" as well. I walked on stage, I was applauded, I started my speech: "Shh..."
I didn't even get the first complete syllable out of my mouth before they stopped me. To steal a bit from Darren: Ouch! Apparently I had stepped on the applause, and started my speech before the audience was done. A minor no no, but one nobody else had done. They let me restart, and stopped me very little, until about 3 minutes in. Then they said "That's it." Craig then said something interesting: "We're going to do something a little different with Matt. He obviously knows what he is doing well, and you've all seen us compliment other people. For Matt, we are going to focus on what he can do to immediately improve and provide impact." Craig and Darren then proceeded to work through my speech, asking me to repeat bits and phrases, show the body language, and the vocal variety as they picked the speech apart to build it back up. Apparently, not everyone was comfortable with this approach, because as the program continued, there were surprised noises coming from the audience. 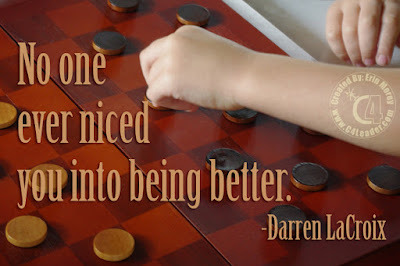 HEY, no one ever niced you into being better! What are you sugar-coating for your team? 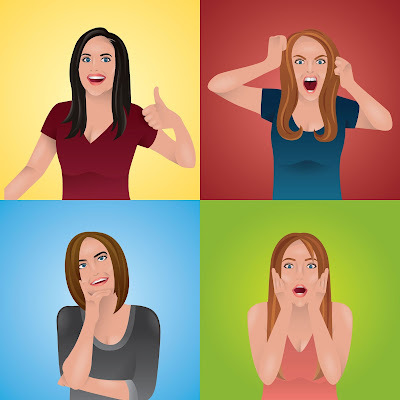 What are you avoiding telling people because it is a difficult conversation? 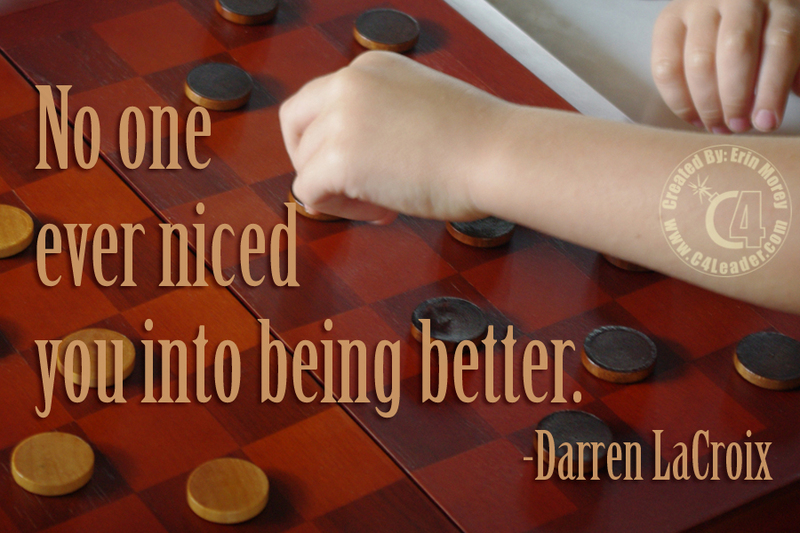 No one ever niced you into being better. I shared a story about a co-worker whose lack of planning became an emergency for me and my project. What I didn't share was how to mitigate this Law. My intent with these lessons learned are not only to provide examples of when things can go wrong, but also to show ways that you can mitigate the impact, or hopefully prevent the Law from impacting you.